Great idea, thanks for the hard work! Coupons are my crack! Thanks for the giveaway! thank you for giving away the gifts!!! Mystery envelopes are always fun! Thanks! i love your weekly giveaways. Woo hoo for mystery envelopes! Looking forward to my first mystery envelope win. Hope it’s this week! Thanks for the chance Kerry! I hope to win one of these envelopes some day! Sure would like to find out what they are! Thank you for offering this would love to win something sometime!! Another mystery! I would loveto win! Your giveaways are the best! great Idea! thanks for the chance to win coupons! Sounds amazing! Love a great surprise! Everyone loves and mystery and I love coupons! What a combo! 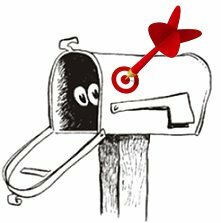 Thanks for all your insight and information…i already have a love affair with Target, but your site makes us FREQUENT lovers!